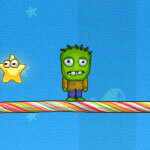 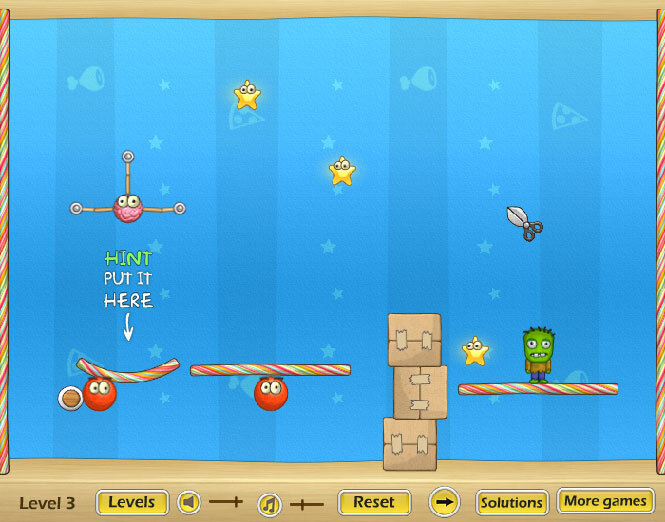 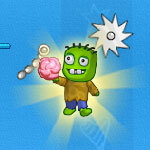 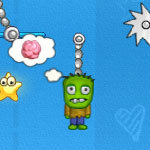 This is a funny physic-based puzzle game based on zombies and the famous game, Cut the Rope. 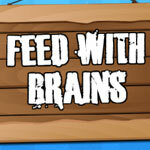 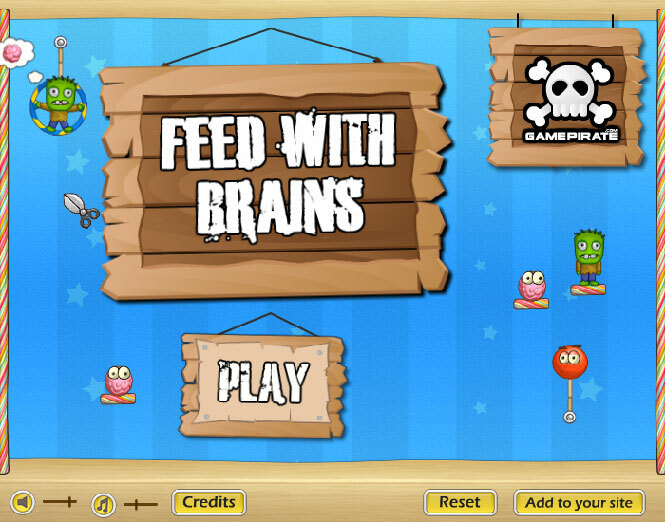 Your mission in the game is to help Mr. Choper to feed the zombies with brains. 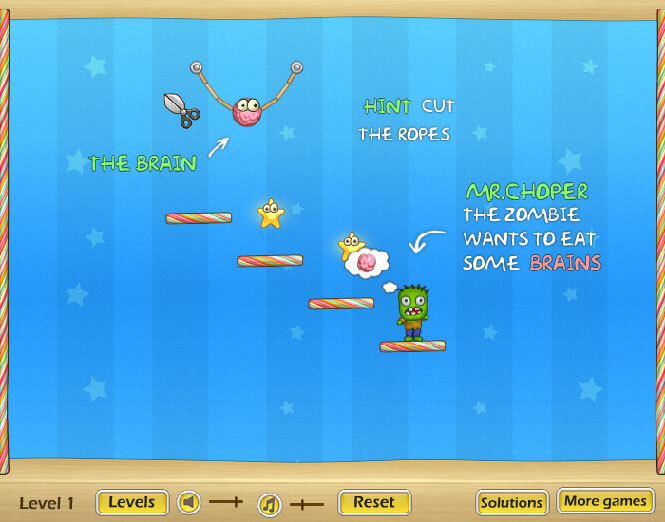 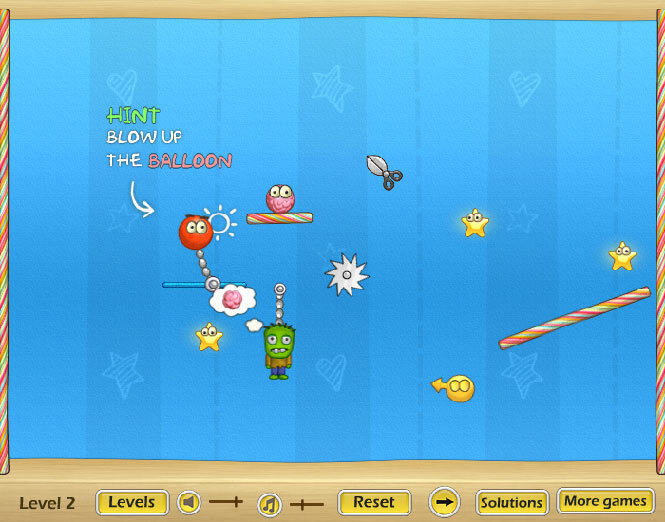 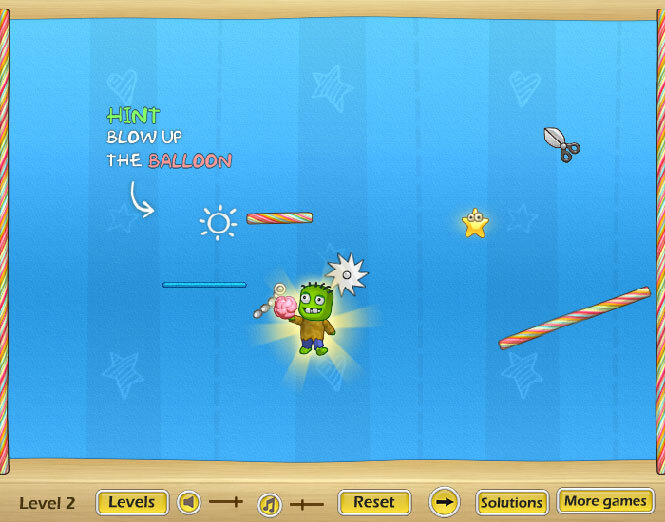 Use scissors to deliver brain to the zombie, the game has 30 levels packed with a few balloons, bombs, stars and ropes and more.